Elevate your correspondence with luxe, handcrafted note cards in flocked damask paper. Fully patterned on both sides, and lined in a second layer of white. These cards are nice and thick--they feel very substantial in the hand. 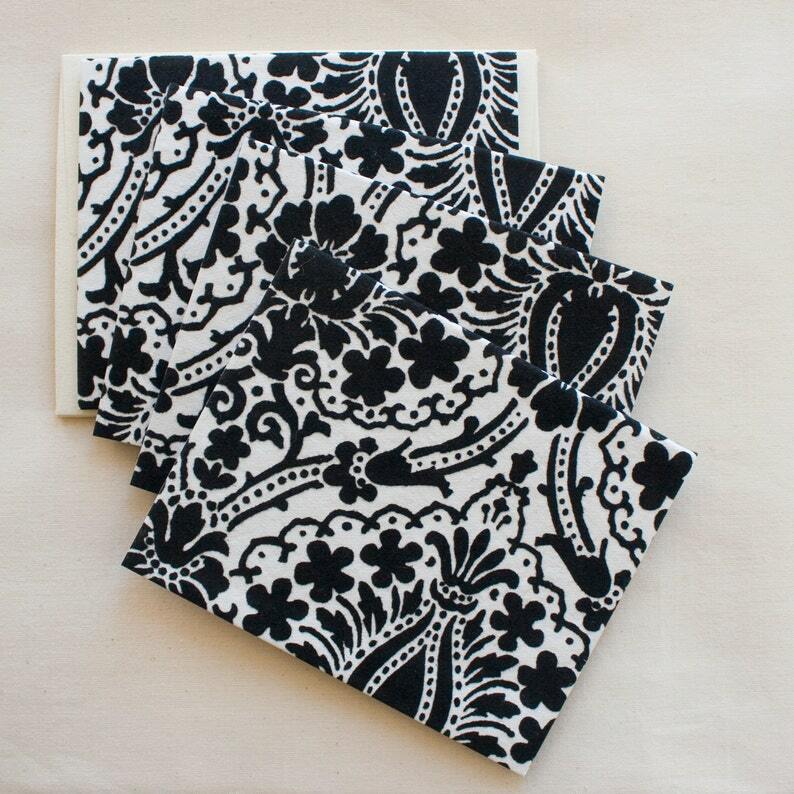 Set of 4 black and white flocked damask cards. Choose blush pink or 100% recycled cream envelopes with a deckle edged flap.